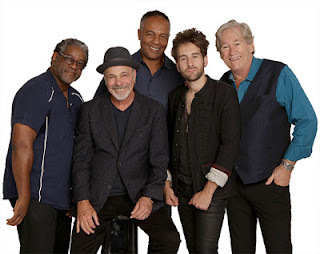 May 16, 2017 -News-, Bill Champlin, Chicago, Danny Seraphine, Ray Parker Jr.
A brand new group has formed to celebrate everything Chicago, including the band and the city. Ray Parker, Jr. - The guitarist, singer, songwriter and producer started out as a sideman for Stevie Wonder and Barry White before forming the group Raydio which had major hits with Jack and Jill, You Can't Change That and A Woman Needs Love (Just Like You Do). As a solo artist, he hit with The Other Woman and the ubiquitous theme from Ghostbusters. Danny Seraphine - Danny was the original drummer for Chicago and played with them during their classic years from 1967 to 1990. After leaving the band, he continued to play with other groups while also producing both music and film. Bill Champlin - Bill formed the band The Sons of Champlin in 1967, recording over a half dozen critically acclaimed albums. In 1981, he became a member of Chicago, staying until 2009 and contributing to many of their later hits. As a songwriter, his credits include After the Love Has Gone, Turn Your Love Around and Friends in Love. Will Champlin - The youngest son of Bill Champlin, Will came in third on Season 5 of The Voice and has released two solo albums. He is also an accomplished keyboard player and songwriter. Rob McDonald - A session and touring musician, McDonald is also known as "Rob McBass" and has played with the likes of the Funk Brothers, Chaka Khan, Chante Moore, Toni Braxton, Patti Austin, Brenda Russell, Norman Brown and Jeffrey Osbourne. The new band's shows will concentrate on the music of Chicago from 1968 to 1990, when the band had the majority of their best known hits, mixing in music from the Chicago music scene from artists like Curtis Mayfield, Sam Cooke, Gene Krupa, the Ides of March and specific songs about Chicago. Finally, Parker will play some of his best known hits. The group is currently putting their show together and booking dates.